When you’re crunching the numbers on your business and analyzing statistics from the past year - do me a favor and think about your marketing. Was it successful? Do you think you should have closed more leads than you did? 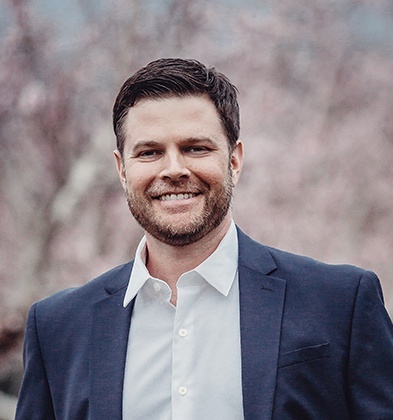 Are you ready to move from outdated marketing techniques to advanced and proven tactics? As Inbound Marketers, we realize that we have some bias towards the discussion of which marketing practice you should use for your business, but this breakdown on outbound vs. inbound marketing can better help you decide which practice to move forward with into the next year. Outbound Marketing simply refers to traditional marketing -- sending your message out to as many consumers as possible with the hopes that they will see it and convert to a lead and then a customer. This includes billboards, cold-calling, commercials, pay-per-click ads, and direct mail. You can launch a campaign and reach millions of people within a week’s time resulting in leads in less than 2 weeks - IF done right and with the right amount of money spent. Hubspot defines it as a marketing method to bring potential customers to you, rather than having your marketing efforts fight for their attention. Since the modern buyer, on average, does 70% of their own research on a product before contacting the company, inbound marketing is structured to give the buyer all the information they need, and when they are asking for it, before calling the company WE want them to call. A process that potential buyers go through to become aware of, evaluate, and eventually purchase a product. Consideration Stage: The buyer defines their problem and starts to research ways to solve it. The content Inbound pushes is created to meet the potential client where they are in the journey - awareness, consideration and decision. It does not interrupt them, but "finds" them when they need it. DELIGHT: Congrats! You have a customer - now let’s not lose them. Find ways to treat them well and reward them. Our purpose as an Inbound Marketing Agency is to help businesses fully stock their website and social media with all the information their potential clients will want to consume before making the big buying decision. Blogs, downloadable ebooks, whitepapers, comparisons, video content, case studies, reviews and more. Ultimately you have to figure out what works best for your business depending on your market, your goals, and your budget. 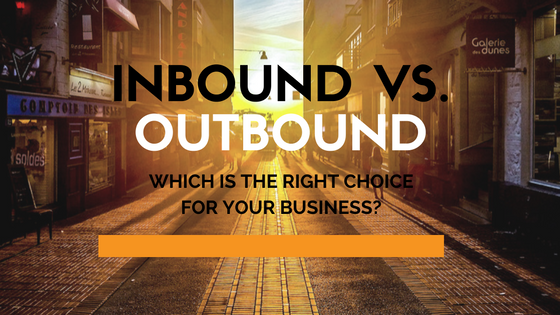 Businesses have found success using outbound, inbound, or a mixture of both. When looking for a marketing agency, really examine your company goals to understand which marketing tactic would be right for you. Need big reach and have a big budget? Or does your product require more thoughtful and long-term relationship building? The good news is that there's a type of marketing that will suit your business. Happy hunting! Now that you've picked or resonated with the strategy that best fits your company, take a look at this checklist we created just for you on how to get the most out of your inbound marketing efforts. If you aren't using inbound marketing tactics, get your copy of this checklist to ensure you know what you COULD be doing to grow your results. Click below to get your copy!